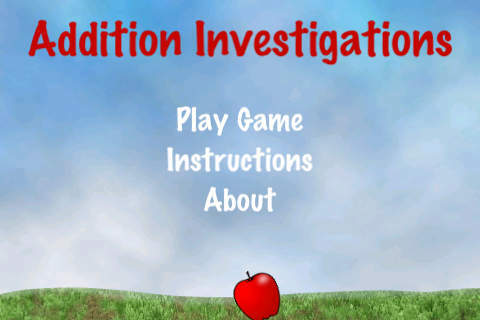 Investigation Math is a fun fill apple collecting addition game. The app guides the uses through addition problems using two and three digit numbers. As the worm comes out of the apple you know you are making your way to the right answer. If the worm stays in the apple and the apple rots “uh-oh” you are making some mistakes. Great for 2nd and 3rd graders learning to add multi-digit numbers. 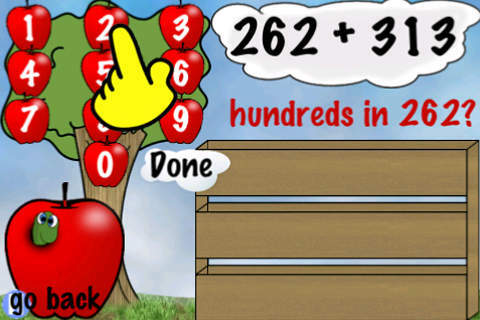 Watch as the apples roll across the screen while learning to break your numbers down by parts. Investigation Addition is based on The “Investigations “Method developed at TERC in Cambridge, Massachusetts. 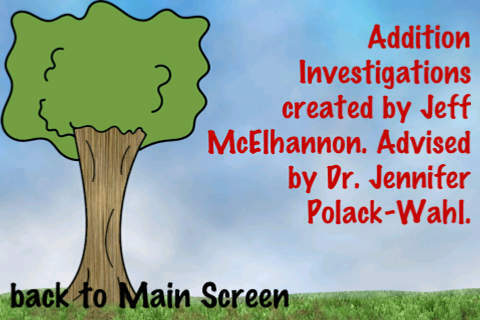 The “Investigations” method is designed to help all children understand fundamental ideas of number and operations. Investigations addition uses the strategy of breaking the individual numbers down to hundreds, tens and ones and then adding the hundreds, tens and ones for each number.